If you are shopping for new shoes, New York is the perfect destination. Partially because real state is so expensive in NYC, there are fewer large department stores and more specialized boutiques. Sure the city has Macy’s, Bloomingdales, Barney’s, Lord & Taylor, etc., but many other big stores do not venture into the city. The city has many distinct sections that have trendy consumers as well as trendy boutique owners. Sometimes finding a fascinating shoe boutique in New York is as simple as stepping into Soho, Greenwhich Village, Nolita, etc. New York, NY 10002 (917) 965-2500. EXTRA BUTTER RVC (ROCKVILLE CENTRE) 266 Merrick Rd Rockville Centre, NY 11570 (516) 632-5150. Kith NYC: Established in 2011, KITH operates on two planes - a multifunctional lifestyle brand for both men and women, and a progressive retail establishment. Their three brick-and-mortar flagship stores were designed in partnership with Snarkitecture, as we push the boundaries to deliver customers a completely unique experience. They offer an array of premium product, ranging from their own in-house label to a curated selection of multi-brand apparel and footwear. KITH was founded by Ronnie Fieg, a prominent figure in the footwear industry, who has over twenty years of hands-on experience. Born and raised in Queens, Fieg has been involved with footwear since becoming a stock boy at New York-based franchise David Z. at age 12. With steadfast perseverance, he rose through the ranks from floor salesman to assistant manager to eventually becoming head buyer. Conceptualizing KITH as an extension of himself, Fieg seeks to shift the current landscape of fashion, while operating under a personal philosophy of giving the consumer more than what they pay for. Modern Vice: A Shoe Shopping Experience Like No Other. Nestled in the heart of New York City's garment district is a one of a kind shoe buying experience. When you visit our headquarters you will have access to our showroom, leather room, studio, glass shoebox and factory. Choose your own leathers, make a custom shoe, meet the designers and see shoes being made. If you are visiting New York City and you love shoes then you MUST stop by Modern Vice. Modern Vice 247 West 38th Street #301 New York, NY, 10018, USA. Shoegasm is a trendsetting shoe parlor with four locations in New York City and an online store offering styles you want at prices you'll love. Learn about other best shopping destinations in New York for fashion and footwear. Here are a few “best of lists” that you may find to be helpful for your shopping quest. If you wish to focus on shopping in SoHo, you may want to check the Soho NYC Boutiques page for inspiration. For those of you in Brooklyn or planning to visit, you may want to check out Chuckies Brooklyn. Founded in 1980 by the Erani brothers on Brooklyn's famous Kings Highway, CHUCKIES brooklyn has been offering the well-heeled men and women of New York the chicest and most fashionable shoes and accessories for over 30 years. While other designer boutiques have come and gone, CHUCKIES brooklyn has consistently re-invented the joy of shopping, boasting well-known designer names along with hidden fashion gems that are curated especially for its diverse clientele. With the latest in luxury designer shoes and accessories under one roof and a loyal and friendly staff to help, you will most likely walk away happy! 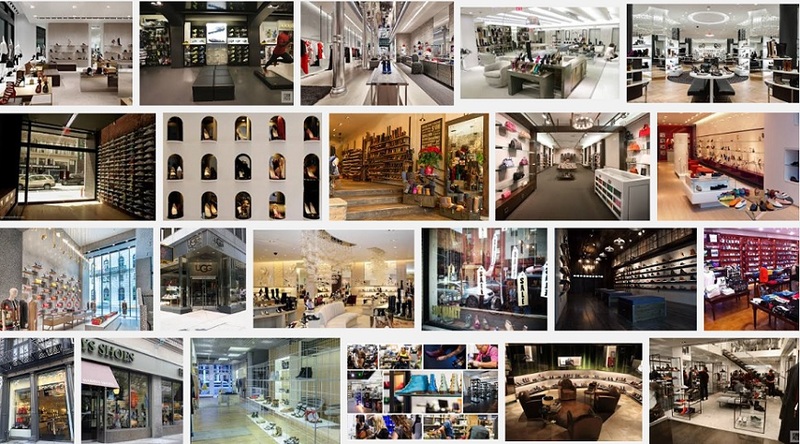 You may want to also check our previous Best Fashion Boutiques in New York blog post. It is very possible that those fashion boutiques also sell footwear for women, men, and children. Where do you shop when in New York? Please add your favorite New York shoe boutiques in the comment section.